Attleboro- Fantastic First Level Condo in Highly Sought After Deerfield Village! Enjoy peace and quiet in this tranquil community with only 16 units. This is a spacious 2 bed 1.5 bath unit with an open floor plan, gas heat, ample closet space, a cozy fireplace, central air, and partially finished basement with plenty of extra space! 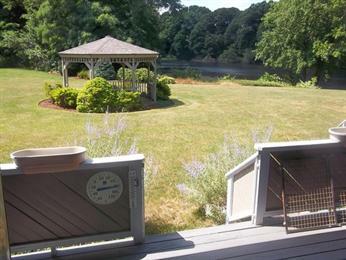 Beautiful outdoor space- just sit back and relax on your back deck overlooking the Cranberry Pond and gazebo. $182,000.